In this post, we are talking about how to expand USB Pendrive storage size up to 16GB by using SDATA TOOL software. By using this software you can expand your storage size of an USB Pendrive. For example: If you are using 4GB of USB Pendrive, so you can expand your storage up to 16GB and also can store data. Follow all steps by picture instruction and you can expand your USB pendrive storage up to 16GB so why pay hard cash for this when you can expand your drive up to 16GB. Note: SDATA Tool can only show the increased storage but you can’t store more data in it but you can still play a prank in front of friends by increasing storage of USB Pendrive. 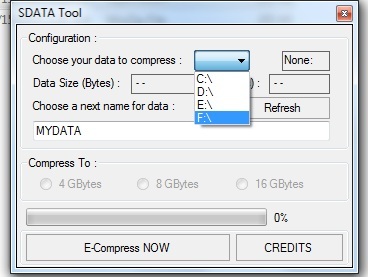 SDATA Tool is a software which Double your USB Pendrive space like [2-4],[4-8],[8-16]gb in 1 click. How to use SDATA TOOL software. Download this software by given link below in this post. No need to install, just open the software and use it. I am using this software and expand the 8GB USB Pendrive storage into 16GB. 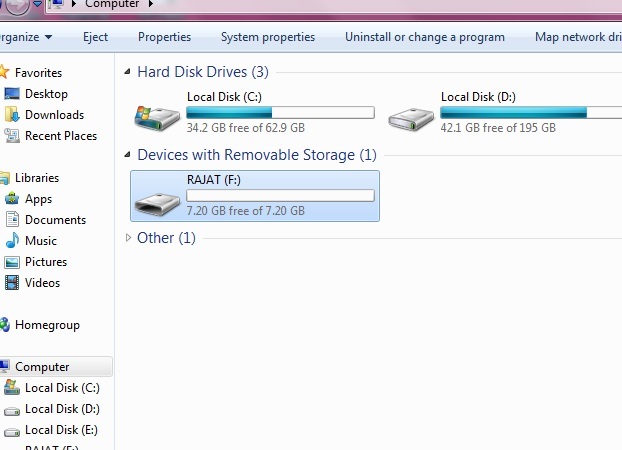 See the picture I am using my USB Pendrive named RAJATand drive is “:F“. 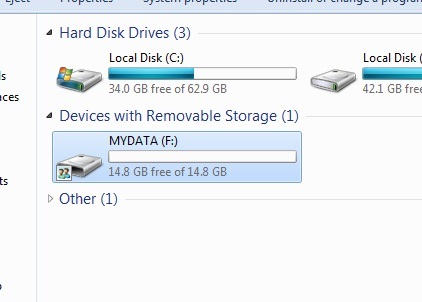 Now I choose my drive letter which is “:F“and you can choose according to your drive letter, it always on the bottom(shown in picture) whatever you trying to expand the storage of USB Pendrive. 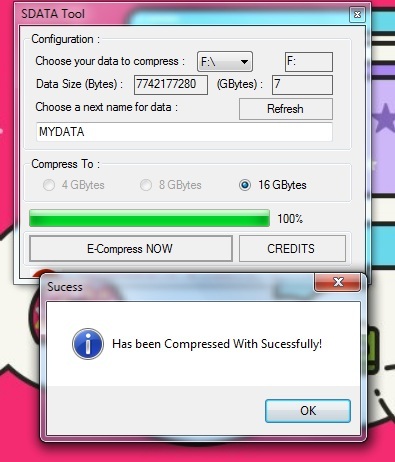 After choosing a drive letter, this software automatically informs you that how much you can expand your drive, just choose and click on“E-Compress NOW”. After completing the process, just check your drive this will be expanded up to double of memory and also you can store data in it. Techsable web of technics I never thought but you are.